1) First I mixed the developer and colour cream together in the tub with the tool given. BEFORE you do this, you will need to the shake the liquid developer 20 times prior using it. 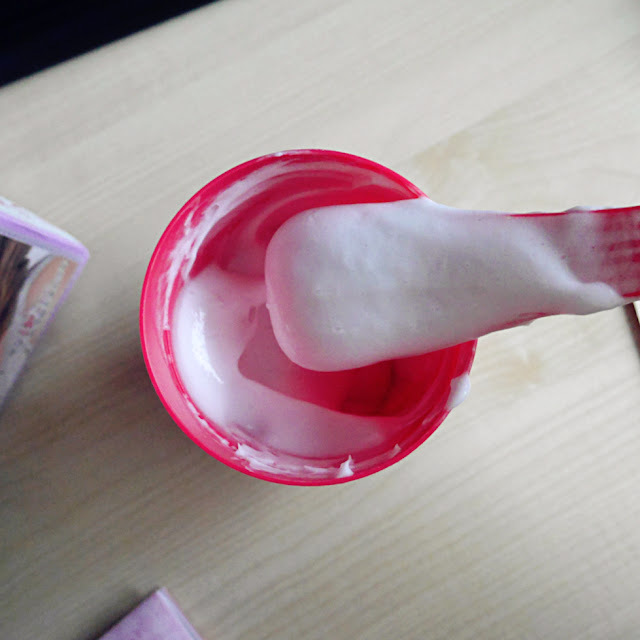 The shaking helps to make the dye foamy/extra bubbly. I wasn't aware of the shaking before use at the time (because you're suppose to gently mix for Liese's Bubble Dye), so my dye mixture was quite flat. 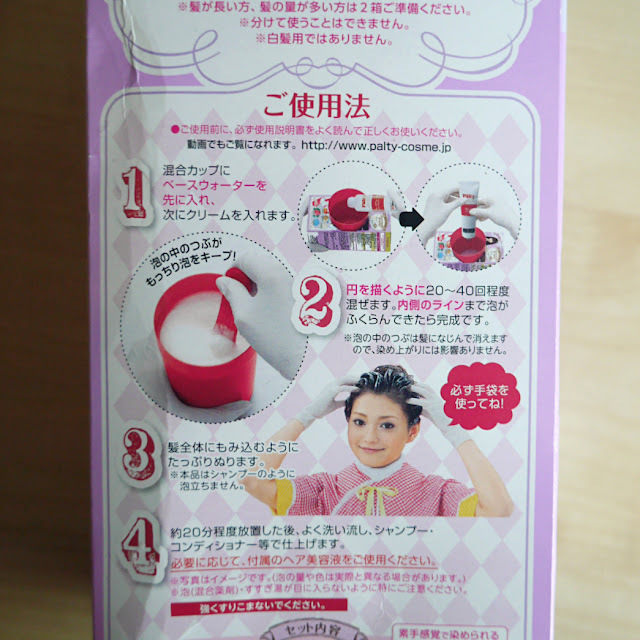 2) Then I applied the mixture onto dry hair and left it for around 25 minutes. Jessie's hair is very long so one box wasn't actually enough to cover her whole head. I had to drag the already applied dye on her head to the ends to try cover everything. 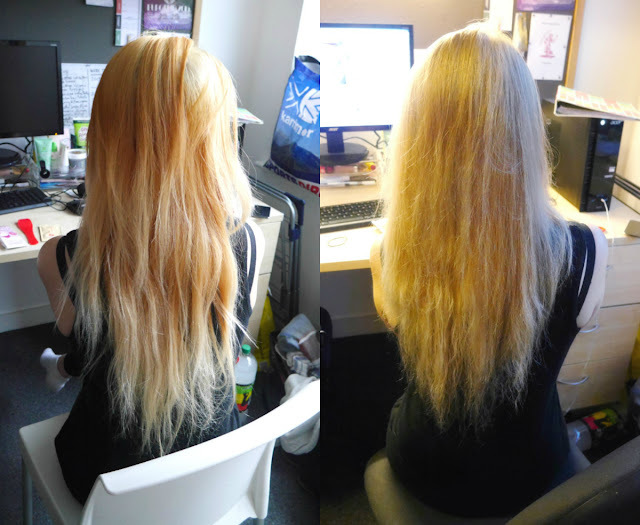 Hair on the left was before dying it - bleached hair with orange tones. Hair the right was the results after~ A medium ashy blonde. The colour is very ashy so it covered a lot of the oranges tones which is great! But the colour doesn't match the box. A average dye, it might of had a better performance if I shook the developer before hand. However the dye was very drying! (you can see the dryness/fizziness in the results) Lastly the treatment given was not good at all, a normal conditioner would have probably done a better job. awwwww thank you and you! ^.^ i try to make resolutions but its so hard sticking to them! 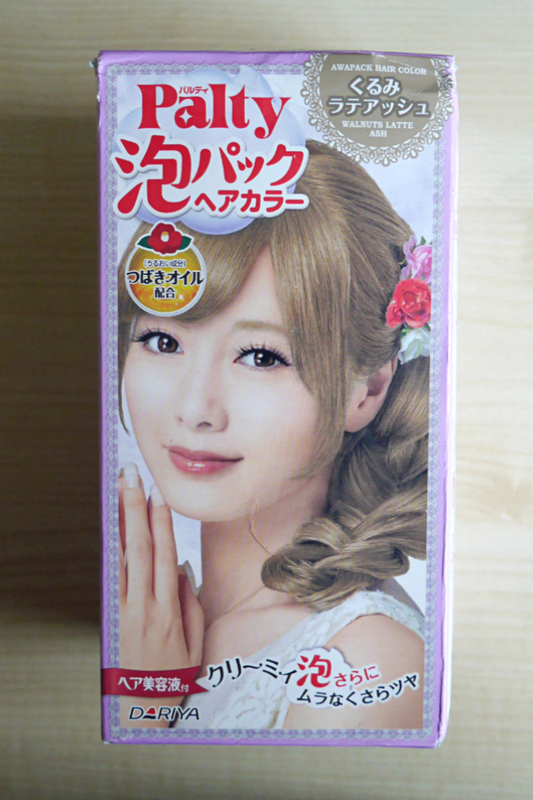 I never tried Palty Bubble Hair Dye but it looks super drying and damaging :O I always use Liese's Bubble Hair Dye~ It's a pity that you forgot to shake it and also that the colour is not as ashy as you wanted it to be or as it was on the box photo ;-; But I think your new colour is very pretty as well, I'm planning to dye my hair blonde or a really light brown this summer too. 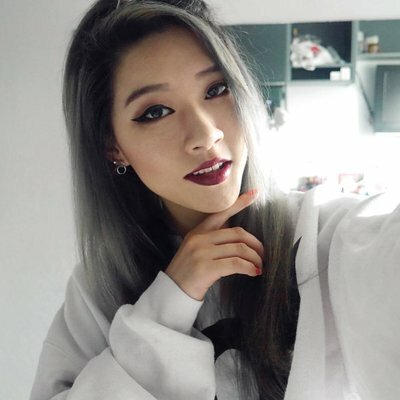 Is there a conditioner you recommend to prevent damage from dying/bleaching your hair? I'm sorry it didn't come out they way you wanted it to be but it still looked quite nice! The packaging of the item is cute though lol it would have made me want to buy it too but packaging may be deceiving! lol Anyways we learn from our mistakes :) Thank you for the review! The colour totally suits you! Yikes, that color doesn't look like the box at all!!!! 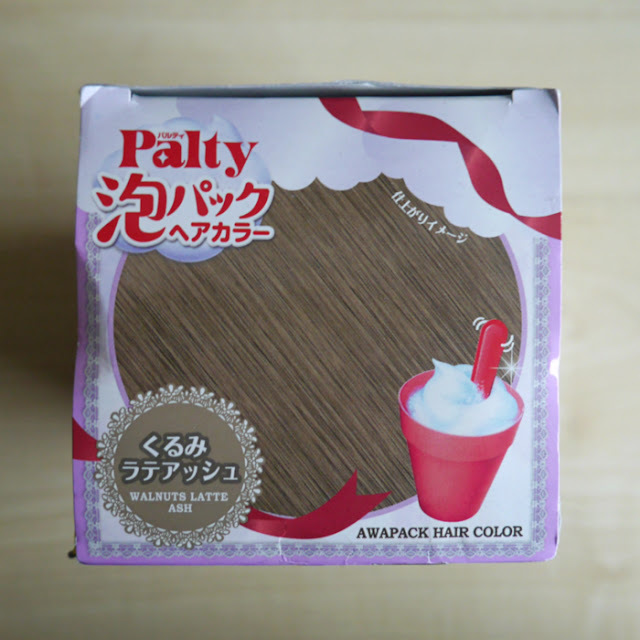 A lot of friends actually use Palty and it is a common hair dye sold in a lot of stores where I live. I think one that my friend liked to use was called milk tea or something like that. You are like a hair dying expert, hehe. AH really? It's hard to get access to palty in uK >< so we get them online, abroad or pay super overprice at major asian stores.